RILEY REID MYSTERIES Volume 1 - You can find Fire and Lies - Book 2 and Ends and Beginnings - Book 3 here on Amazon. 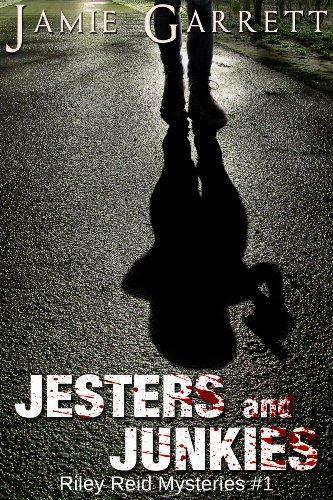 Jesters and Junkies is a novella of approximately 100 pages (25,000 words). Meet Riley Reid, a private investigator in small town Virginia. A product of parental abandonment, and far too much time spent at the police station, Riley's personality gives a unique perspective to every case. 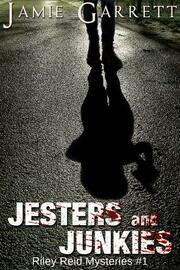 Riley is hired by grieving parents to investigate the death of a young man in his prime. He even had a baby on the way. Police rule it an accidental overdose, but neither Riley or her new clients believe it. Through her investigations, Riley is thrown into a drug conspiracy far larger than she ever expected. Suddenly, she's breaking into rehab centers, trailing suspects and fighting off gun-wielding invaders. Come and join Riley in the sleepy town of Stone Harbor and lose yourself in the mystery.